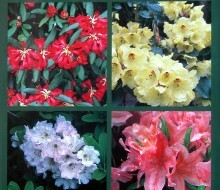 The Cox classic: monogragh on rhododendron species hardy in temperate climates. Now at a special price £35 (free postage UK) postage to EU and Japan extra a cost. 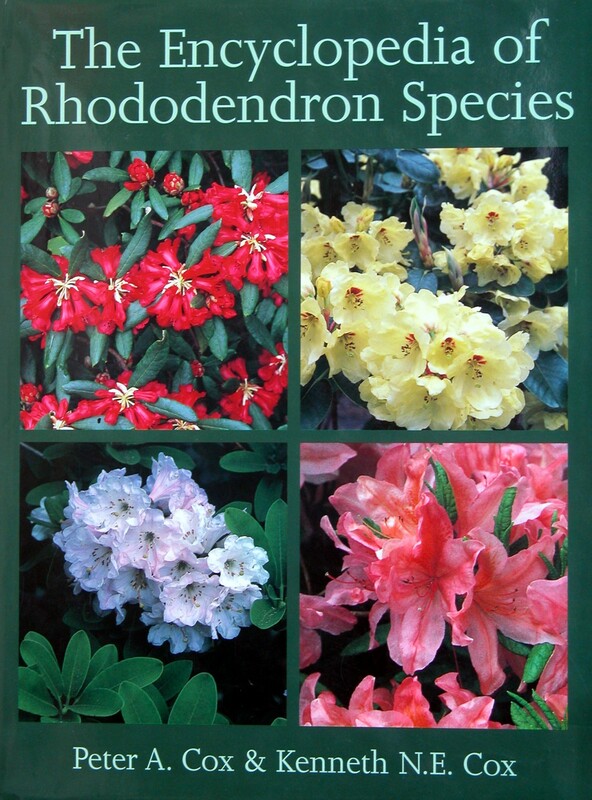 US and Canadian Customers, please order from the Rhododendron Species Foundation, Federal Way, WA, USA. With full descriptions of almost every hardy rhododendron species in cultivation, how to recognize and cultivate them this is the definitive work on Rhododendrons. More than 1500 photographs of Rhododendron in the wild and in cultivation. "For the aficionado (or addict, which ever describes us best) of rhododendrons, this book is a real gem! ... it would make a most cherished volume for any rhodoholic- for Christmas or any other special occasion." Fred Whitney, Journal of the American Rhododendron Society. "This wonderful book has been 5 years in the making and deserves centre stage on your rhododendron shelf. A marvelous gift." "This is a a splendid work with a load of good colour pictures which show the great variety in a species....the close up pictures are outstanding. ...a treasury of information." "The Cox & Cox book...is comprehensive, covering all the species. It incorporates the latest research. It has at least one colour photograph of each species and , above all, it is readable. In my opinion it will set the standard for the next 25 years"
Joe Harvey, Victoria Rhododendron Society Newsletter, Canada. "To put it simply at the outset; this is the book that I didn't know that I had been waiting for. This book covers the temperate rhododendron species so beautifully, thoroughly and authoritatively that I can say in complete honesty that no enthusiast can possibly afford to be without it."